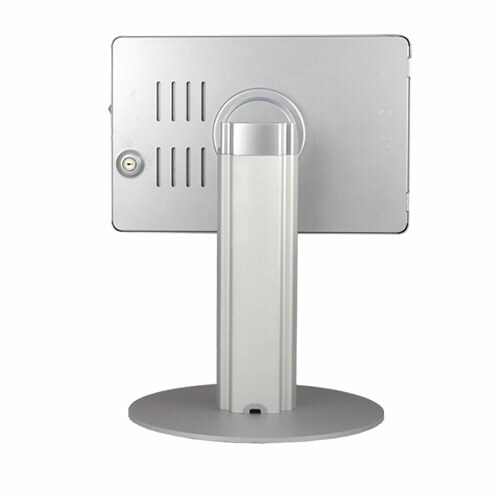 The white and glossy full aluminum design of our flat stand series brings a high class taste and sturdy structure to the users. The view angle can be adjusted to 90 degree while the charging wire remain secured by the well-designed internal space. 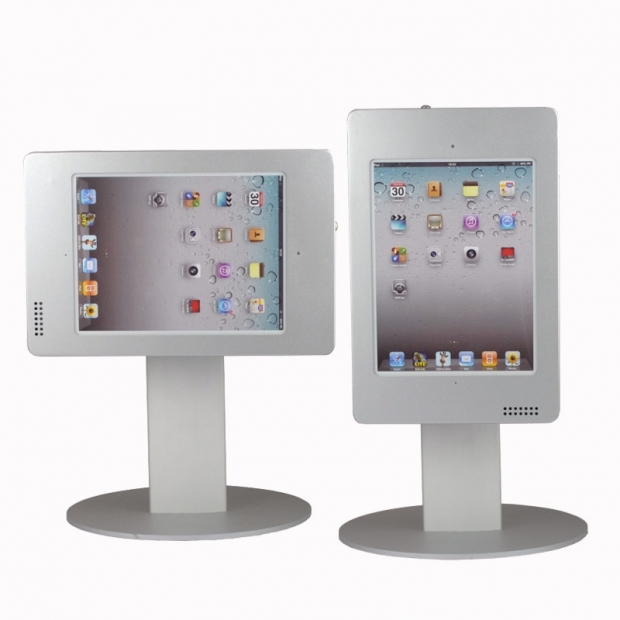 The stand height can also be customized depending on the application. A comfortable, joyful experience is therefore created. 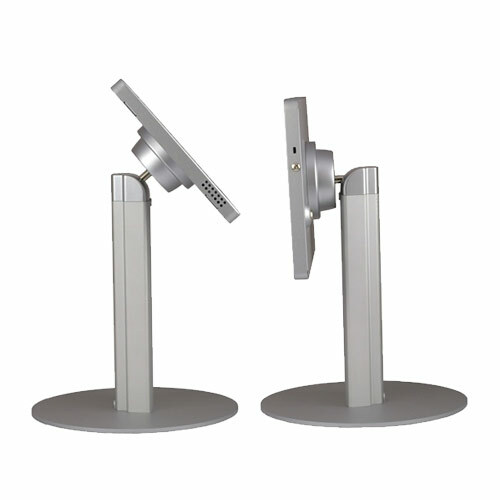 A rugged metal enclosure featured with Tilt & Pivot for adjusting any viewing angle. 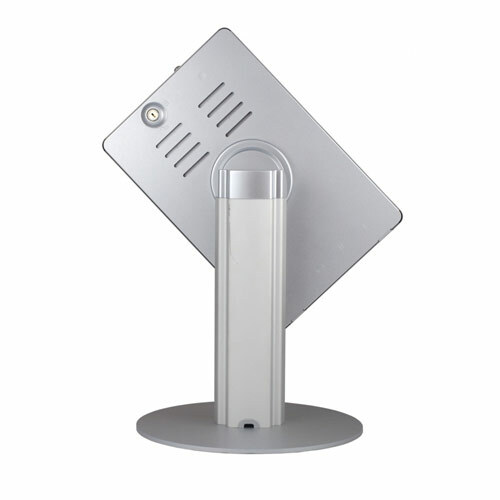 With Aluminum column and weight added base for desktop stand. User have to integrate iPad Enclosure, column and base with the screw kits attached.